Working with outside contractors is a strategy that can save time and money by keeping the operation lean while outsourcing specialized talent. 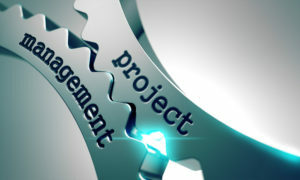 Here are some ways project management outsourcing is valuable in the network telecom space. Scaling up because you have more business is a good thing, but sometimes scaling can put bigger expenses on a business as well. Taking on bigger and more complex projects means you need the proper trained staff — something that can cost a pretty penny. Outsourcing to experts is often a less expensive, less time-consuming, and ultimately more profitable decision. Those experts to whom you are outsourcing can often bring more value to your business than some professionals you could hire and train on your own. The level of specialization you get when you outsource means you can be hands-off, and get back to what you know how to do. If one of the projects you outsource happens to be billing procedures, you benefit from clean, tight orders with no hiccups, and you get paid quickly. Hiring a new staff member to specialize in an area of project management not only takes time, it takes money. Outsourcing connects you to a third party’s multiple resources — often for the same cost as hiring one internal person. If you outsource to a company with on-demand support, you benefit from 24/7 service, avoiding the pitfalls of handling problems yourself when your staff leaves for the day, and potentially unhappy customers. You can make one person look like 10 when you outsource, making it an excellent choice for SMBs. Ultimately, your brand benefits from an external dedicated project management team that makes it look like an enterprise. And when your staff has been relieved of the tasks you’ve outsourced, they can get back to what they are good at or refocus on other initiatives. Overall, outsourcing enables businesses to increase productivity and efficiency, and ultimately, sales. It can be a valuable strategy for cutting operational costs of project management, leading to an uptick in profitability. Contact CRA Telecom to learn more about how outsourcing can improve your business.